Three versions of an apparently rarely-heard Kentucky tune, including a house concert performance, a teaching video, and the earliest known recording. Plus, to finish, a cautionary tale: Last of Harris held a sting in its fiddletail for this unwary researcher. A lilting, closely-woven arrangement filmed at a 2011 house concert in Suffern, NY. The 1940-1941 field recording of Kentucky fiddler John Morgan Salyer. A few passes through Google turned up nothing about Last of Harris’s intriguing title. The tune’s origins seemed pretty obvious though. In my mind’s eye I could see it all: the ship’s stern, the gulls above the silver wake, the mountains of the Isle of Harris misting away over the horizon as a Hebridean fiddler sets sail for the New World. A poignant theme that deserved to be illustrated, I thought, and contacted Harris-based photographer Stefan Davies, explaining that the tune ‘presumably relates to the experience of emigrating to the US from the Isle of Harris’. He kindly sent me a wonderful photograph to upload. Sorted – a great post for this week! I fall on my sword. Blushing. But truth has come too late to press memory’s delete. 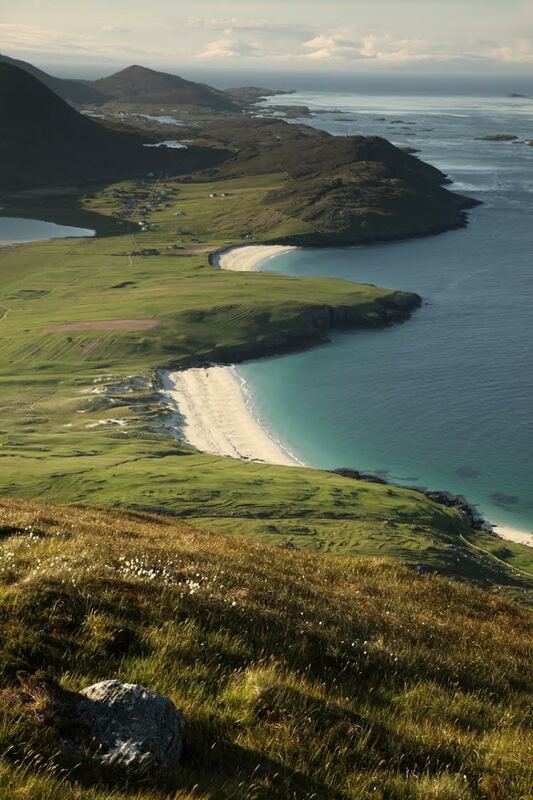 For me, Last of Harris will always evoke, not poor Mr Harris about to meet his Maker, but Stefan’s image of the Isle of Harris – quite simply too beautiful to be left out.